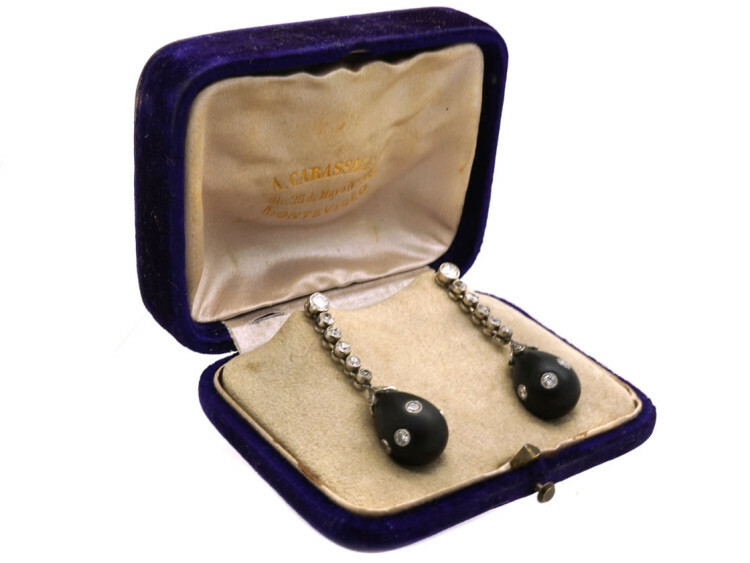 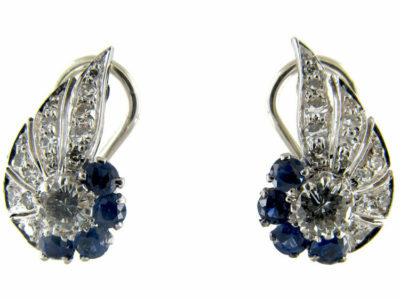 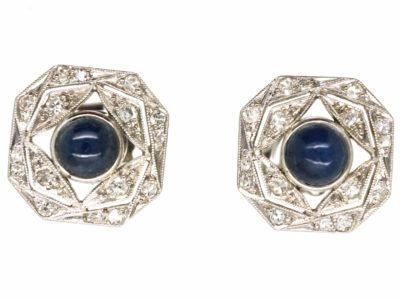 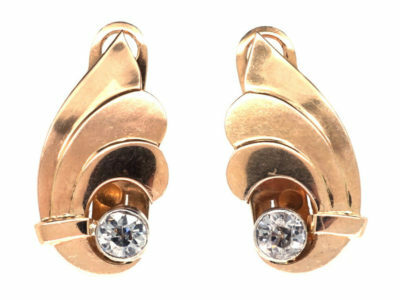 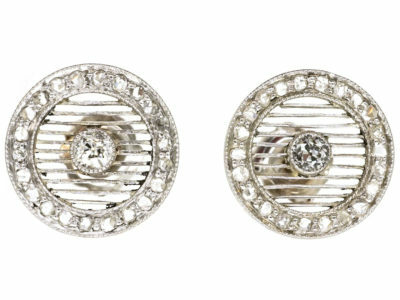 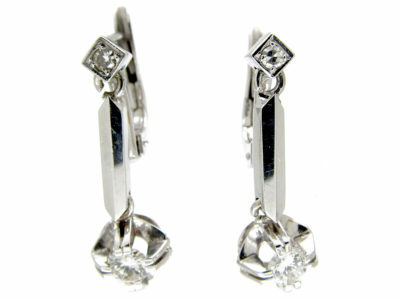 A striking Pair of Art Deco earrings in their original case. 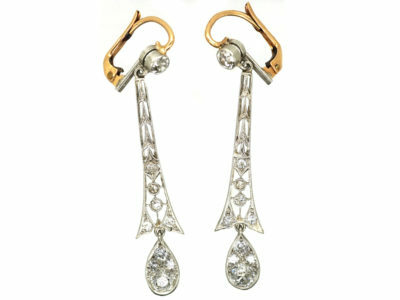 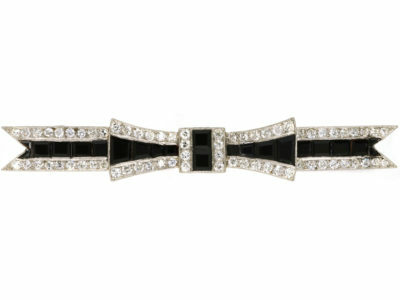 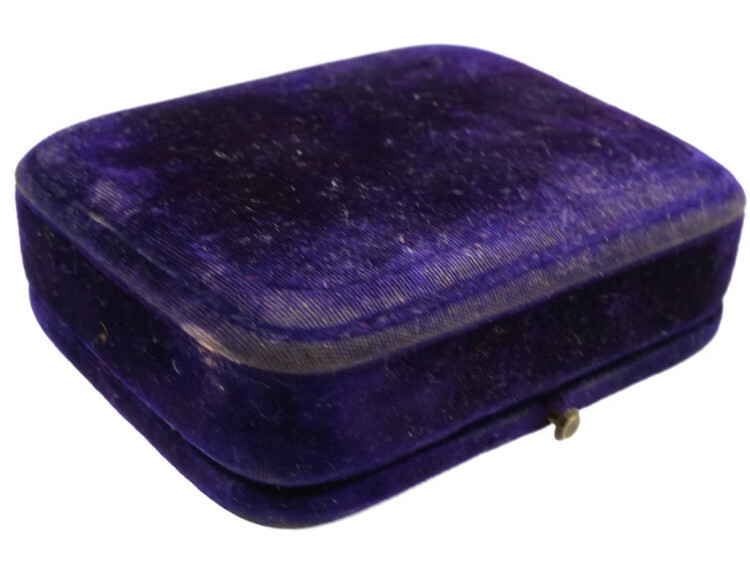 They were made circa 1920-1930 and retailed in Montevideo, Uruguay’s capital. 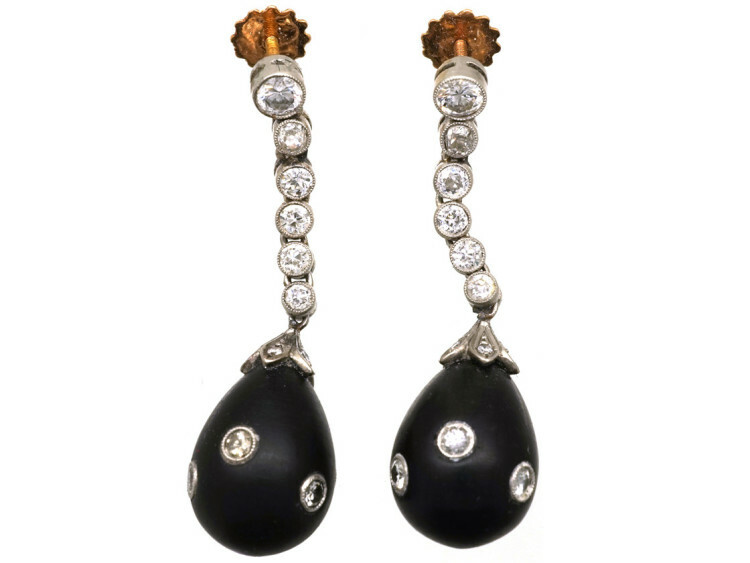 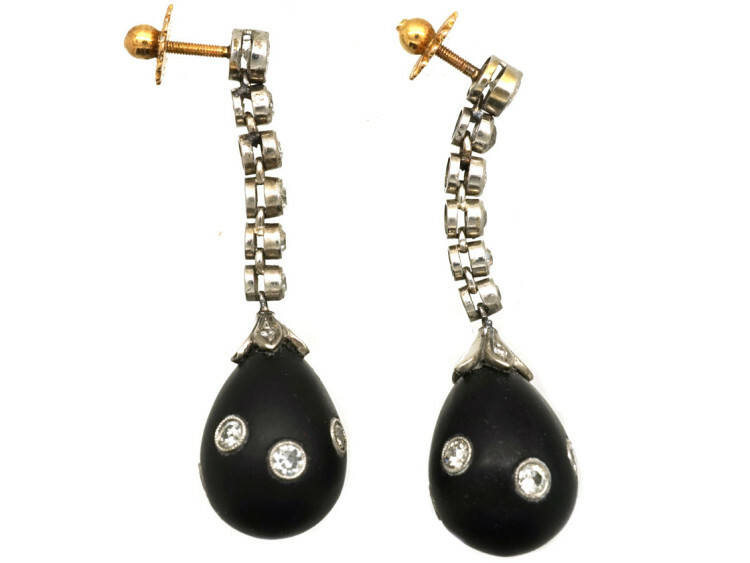 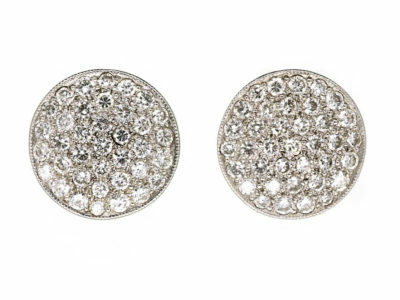 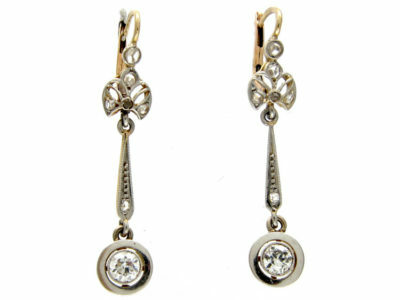 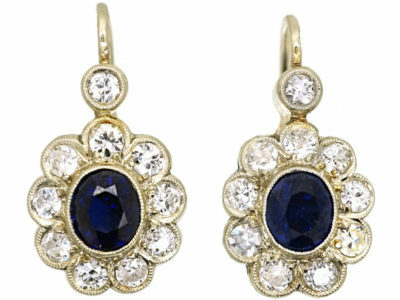 They are an unusual design with a drop of six diamonds to an egg shaped onyx set with six more diamonds. 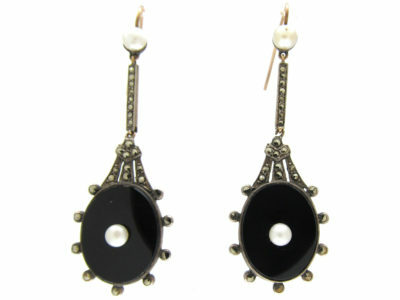 They look stunning when worn.